DMC’s newst thread is Etoile. It’s a six-strand thread that’s cotton floss with metallic blended in. I have not had a chance to try it yet. 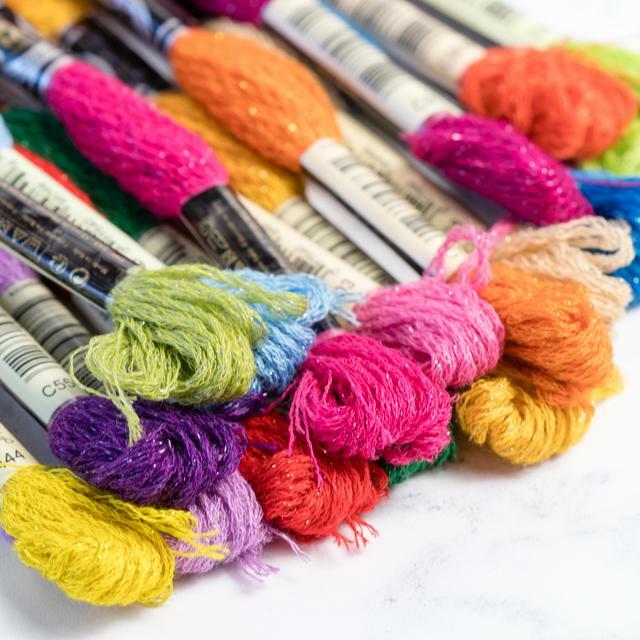 Stitch Modern, a cross stitch blog, has and has posted an in-depth review thar’s full of great tips for using this thread.